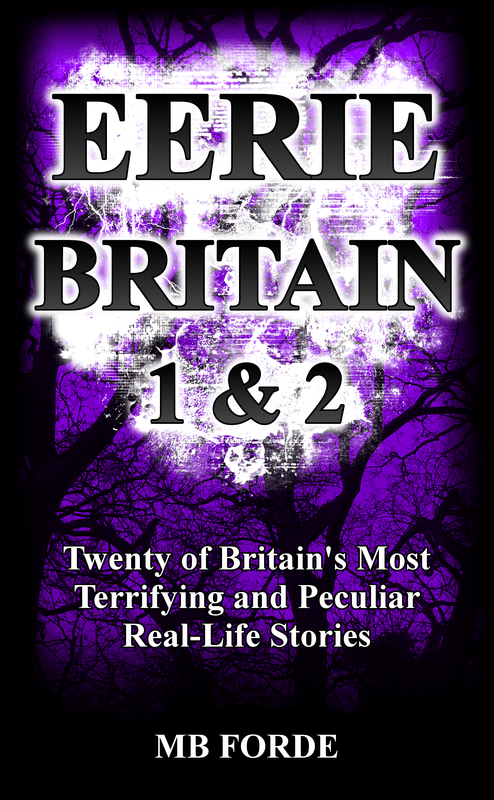 This chapter is taken from the ebook Eerie Britain, available now from Amazon UK, Amazon US and most other Amazons, worldwide. A terrible and well-documented evil lurks within this infamous Edinburgh mausoleum. In December of 1998, a homeless man wandered through Edinburgh’s storm-lashed streets. Seeking shelter from the night’s downpour he staggered into Greyfriars Kirkyard and broke into one of the old mausoleums in the Covenanter’s Prison section—no doubt attracted by its intact roof. Inside, the vault was pitch-black and the brave (or foolhardy) vagrant decided to explore his surroundings with what meagre light he possessed. He removed an iron grate in the floor and descended a short, twisting, stone staircase and entered a second chamber. There, he came across four wooden coffins. Perhaps looking for valuables to steal, the man began to smash open the dusty caskets. As he did so, a hole suddenly opened beneath his feet and he fell through a wooden division into a third chamber—the existence of which had been previously unknown. The unfortunate intruder landed in a deep pit that had been used for illegally dumping those that had died from the plague. Despite being hundreds of years old, the pit had remained well-sealed and the corpses that greeted the luckless tramp were far from skeletal. Semi-putrefied and covered in green slime, the rotten carcasses had sunken features, ragged clothing, matted hair and emitted an overpowering stench. Not surprisingly, the man desperately fled the tomb, not stopping even when he cut his head on the tomb’s entrance in his reckless flight. A nearby security guard and his dog had heard strange noises coming from the Covenanter’s Prison and were in the process of exploring the graveyard when they saw the wailing vagrant hurtling towards them. The sight of a bloody, filthy and bedraggled man charging out of a crypt in the middle of a stormy night was too much for the guard and both men fled separately into Edinburgh’s darkness. The security guard turned up for work the next day, related the tale of his terrifying encounter and promptly handed in his notice. The tramp, however, was never heard from again. And frankly, he couldn’t have chosen a more sinister vault to break into, for its name is the Black Mausoleum and to this day it houses the remains of the most notorious resident of Greyfriars Kirkyard: the 17th century judge and Lord Advocate Sir George MacKenzie, otherwise known to the Scots as “Bluidy MacKenzie”. Made Advocate in August 1677 by King Charles II, MacKenzie organised an enthusiastic and bloody prosecution of Covenanters in retaliation for their refusal to replace Scotland’s Presbyterian Church with the Episcopalian Church that had come to dominate England to the south. The summer of 1679 saw defeat for the Covenanters at the Battle of Bothwell Bridge and 3000 of them were captured. MacKenzie brought them to Greyfriars where some were hanged and some beheaded, their rotting skulls displayed on walls around the city. Others were tortured publicly while a thousand where dispersed among other prisons or allowed to go free. The remainder were kept corralled at a section of land adjacent to Greyfriars Kirkyard in a makeshift, open air prison that would become the first recorded concentration camp. By mid-November of that year, most of the 1,200 ill-fated detainees had died from starvation, disease or exposure to the harsh Scottish winter. The surviving few hundred were packed onto a ship bound for Australia. It is estimated that MacKenzie was responsible for the deaths of 18,000 unfortunate Covenanters, his own countrymen, during a reign of terror now referred to as ‘The Killing Time’. An infamously brutal man, indeed. In seeking a place to sleep for the night, the homeless man seems to have inadvertently awakened far more than he could have expected, for mysterious and disturbing activity was to be reported almost immediately after his unwitting interference with the mausoleum’s contents. The very next day, an unnamed woman, peering through the iron grate set into the vault’s door, was reportedly “blasted back off its steps by a cold force”. Soon after, another female was discovered sprawled on the ground near the tomb, her neck ringed with heavy bruising. She claimed “that invisible hands had tried to strangle her”. Similar injuries were found on another victim, this time a young man who was found lying opposite the vault. Soon, it all became too much for Edinburgh City Council. They locked the Black Mausoleum’s door and declared the location to be out of bounds to all but those with express permission to enter. That was until local author Jan-Andrew Henderson asked the council for permission to bring controlled tours to the mausoleum. The council acceded and now The City of the Dead Tour enjoys almost exclusive access to the menacing site, running regular visits. Since then, it seems that the paranormal activity has escalated alarmingly. Phenomena at the Black Mausoleum stands out against that experienced at many other purportedly haunted locations in that it has been startlingly frequent in occurrence, often severe and very well-documented. Since 1998 there have been over 450 attacks and that’s just the reported incidents, who knows how high the number actually is? Amongst the 450, some 180 people have lost consciousness, inexplicable fires have broken out, weird cold spots abound and an unusually high number of dead wildlife has been found in the vault’s immediate vicinity. People have had their fingers broken, hair pulled and felt as though something has punched or kicked them. Unexplained bruises, scratches and burns, skin gouges, nausea and numbness have all been frequently reported. Cameras and other electrical equipment malfunction in the area of the Mausoleum. “After the tour I decided to go back to our hotel room. I was glancing at ‘The Ghost that Haunted Itself’ [a book about the story of the Mackenzie Poltergeist by Jan-Andrew Henderson], when I felt a sharp burning sensation on the right hand side of my neck. There were at least five deep scrapes [that appeared just under my Adam’s apple]. On returning home the next morning I went straight to my mother’s house and told her my tale, along with handing her The Ghost That Haunted Itself, which I had decided I did not want in my home. Yesterday I phoned her and asked her what she thought of the book. Remarkably, she was just examining five large scratches under her Adam’s apple [that were] identical to my own. I am not the sort of individual who frightens easily but, hand on heart, I am very frightened now. The phenomenon you have in that graveyard prison is very real”. Sometimes, every participant of a particular tour will feel or see the same phenomena and so some of these events boast corroborative witnesses by the bucket load. Not only that, but Black Hart Entertainment, the company that runs the tours, keeps detailed records and photographs of the injuries sustained by visitors to the mausoleum and its surrounding area. “I am a very scientific person, and I don’t know if I believe in ghosts or not, but I just don’t have an explanation for the sheer number of people who have collapsed, had their fingers broken or whatever. I’ve even had phone calls from two people who say their partner has now been committed, and blame it on the ghost”. Seemingly, the poltergeist activity is not limited to the mausoleum. Smashed plates, unexplained fires and object aportation have been reported by the residents in four different houses that border the graveyard. Then, in October 2003, a large fire swept through both Jan-Andrew Henderson’s nearby home and the Black Hart Entertainment offices. Henderson says that the fire—the cause of which insurance investigators could not identify—destroyed “five years worth of letters, photographs, records and statements concerning the MacKenzie Poltergeist as well as every possession I had in the world. None of the surrounding properties were damaged”. This apparently wide-roaming poltergeist is also thought by some to be the cause of a number of the malignant and odd activity in that other of Edinburgh’s infamously haunted locations: the South Bridge Vaults. Explanations for the spooky goings-on abound. Even before the bodies of the Covenanters were added to its earth, Greyfriars was a graveyard literally bursting with death and decay. Much larger than today’s plot, it was established in 1562 and, topographically, was formerly a depression that sank twenty feet or more until, thanks to the combined effects of some 500,000 recorded burials, it has become rather more of a hill, rising fifteen feet. Such is the concentration of human remains that on especially rainy days some of the bones of the long-since interred actually rise to the surface. It is said that it is not uncommon to spot the white gleam of a femur’s end among the Kirkyard grass. So, the entire location it seems, is a canvas perfectly primed for things that go bump in the night—surely if ghosts really do exist this would be one of the most fertile fields for them to spring forth from. Indeed, there have been many sightings of unidentifiable shapes lurking between the headstones; pallid figures, spectral white birds and wraithlike children. But despite the area’s bloody history providing innumerable candidates for a ghostly perpetrator of the happenings at MacKenzie’s tomb, hauntings are rarely this consistent or active. What’s more, the kinds of attacks witnessed are far more redolent of a poltergeist. But this presents us with a problem too as typically, poltergeist phenomena centre on an ‘agent’ who, often unknowingly, serves as a focus for the associated disturbances. No one living person could act as such a hub at the mausoleum. Also, research by Alan Gauld and A. D. Cornell established that barely a quarter of poltergeist episodes last more than a year, whereas whatever lurks within MacKenzie’s tomb has been scaring people for over a decade now. Another explanation, and one which Henderson and his tour guides often espouse, concerns pheromones. Pheromones are chemicals which are excreted or secreted and can influence the behaviour of other species members, most notably in insects. Humans can also be affected by these chemical signals. In the case of the Black Mausoleum it is hypothesised that the pheromones released by the intense emotions of those who were tortured, imprisoned and killed in the Covenanter’s Prison have somehow been ‘imprinted’ upon the location and, combined with the fear and apprehension felt by modern-day visitors, it is this that is psychosomatically causing the nausea, coldness, dizziness and perhaps even the poltergeistesque activity. Indeed, some paranormal researchers think that poltergeists can actually move along pheromone trails, with the two being linked. If this is true it would go some way towards explaining why many of the tour members have reported the impression of being followed home from the Kirkyard by something sinister. Of course, it is possible that the answer lies within environmental factors. To the rear of the Mausoleum is Edinburgh University’s Artificial Intelligence Unit where high voltage machinery is housed. These machines can give off electromagnetic energy, a force that some believe could create hallucinations in people that are ‘EM sensitive’ and be the explanation for certain paranormal activity. This again, however, does not explain the physical attacks that visitors to the vault have suffered. “If the pores of the sandstone were to become saturated with mineral electrolytes, this in effect would create thousands of tiny batteries. Given the right conditions, a micro-tremor perhaps, the stored energy could be discharged, creating an electrical field above the ground affecting a sensitive person by causing a tiny seizure in the temporal lobes of their brain. These seizures appear to run in distinct patterns, with the people affected experiencing the same or similar images”. As is often the case with hauntings that are said to have their roots in times long passed, there are many legends associated with MacKenzie’s tomb. One popular tale describes a failed petty criminal—possibly a highwayman—named John Hayes who, fleeing justice and the police, found shelter in the second chamber of the Black Mausoleum. For six long months Hayes secreted himself within the vault, scavenging food wherever he could. Eventually, when the local police caught up with him, they found him to be completely insane, insisting that the coffins that kept him company would move each night of their own accord and that ‘Bluidy MacKenzie’ could be heard shuffling and scraping within his own wooden box—the man being so evil in life that his corporeal remains could find no peace in death. It must be said that spending six months in a tomb with only a handful of coffins to share your hideout would probably make anyone go mad, whether the deceased residents moved around or not. 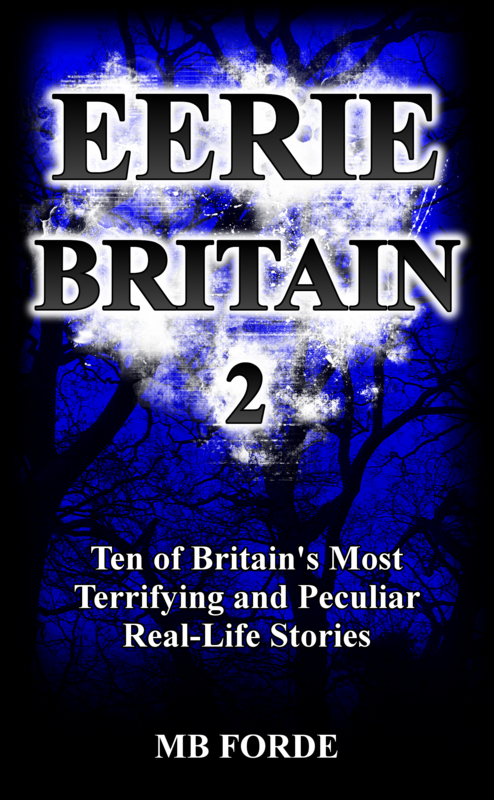 This chapter is taken from the ebook Eerie Britain, available now from Amazon UK and Amazon US. Writer. Excels at staring blankly, having bad hair and storing food in cheeks. 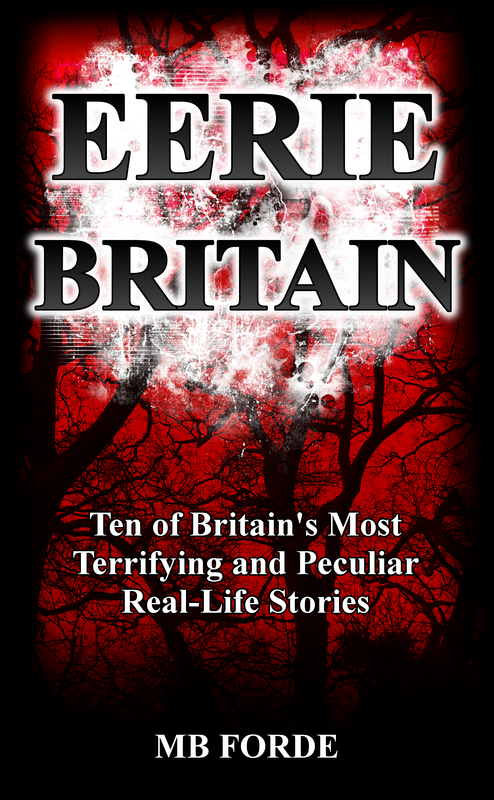 Wrote Eerie Britain, amongst other things. This entry was posted in Bizarre, History, Legends, Paranormal, Strange Places. Bookmark the permalink.